The Grand National is often called the world's greatest steeplechase and it captures the imagination of millions every year. Aintree Racecourse, located outside Liverpool, has been the home of the famous festival since its first running in 1839. A version of the race took place in years before this, but 1839 is accepted as the official start of the race as we know it today and 2019 will be the 172nd year it takes place. As official sponsors – Randox Health – state on their website, the Grand National promises ‘passion, thrills and drama like nowhere else’. 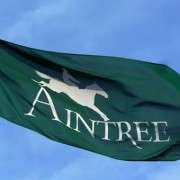 Over 150,000 visitors will come to Aintree during the three days, with 70,000 expected to visit on the final day. Around 10m will tune in to watch it on TV or via bookmakers’ websites in Britain alone, with 600m viewers watching around the world. During the festival, over 20 different races will take place. In the biggest and most famous race, the Grand National on the final day, horses have to complete two laps of the course, covering four-and-a-half miles and jumping 30 fences, ending with a 494-yard-long run. The hospitality tickets for 2019 have been on sale for a while and some of the packages are already sold out. General tickets were released for sale on 1 August, some eight months before the actual races. Make sure you get your tickets as early as possible as the demand for tickets is always high, with sell-out crowds expected for both Ladies’ Day & Grand National Day. Please note that child tickets are capped to a maximum of 200 each day and you can only get a maximum of two child tickets per full paid adult ticket. If you are planning on taking the car to the festival, make sure you purchase your parking pass in advance, as there will be no parking available for sale on the day. With only 1,800 parking spaces available and some further offered by residents close to Aintree, you may need some luck to get hold of a space or get it as part of a hospitality package. Actually, you may be better off taking the train or go by coach to avoid the stress and traffic chaos altogether, especially at the end of the day. All bags will be searched on arrival and bringing a bag may severely delay your entry to the venue. You’ll not be allowed to bring any bags larger than a small handbag (30cm x 10cm x 20cm) into the area; although there is a bag drop zone. Actually, you are strongly encouraged to not bring any bags at all! There are two options for seeing parts of the course and some of the fences up close. You can either walk the course or take one of the driven tours. Neither of these is an in-depth guided, historical tour but rather an opportunity to see the iconic fences prior to racing. The minibus tour is operated on a first come, first served basis to ensure as many people as possible can join. It runs every day, but make sure you check the starting times as they vary from day to day. Each tour will take approximately 30 minutes depending on how busy it is. The Grand National experience is never complete without a wager or two. According to the bookies, between a quarter and half of the British population place wagers every Grand National. To add to the excitement of the day, try predicting the Grand National winner or use the ever popular ‘each way bet’. The each way bet is the most popular type of wager at the Grand National, accounting for around 74% of all bets placed. Some apply science to their predictions, but many are selecting the winner based on lucky number or the name of the horse. After all, everything can, and will happen, at the Grand National! You may not bring any food or drink onto the racecourse. Picnics can only be consumed in the parking areas so make sure you leave the food there as security staff will confiscate picnics upon arrival. There are plenty of food and drink concessions available in all enclosures, so make sure you bring cards or cash. The Grand National is perceived as slightly more relaxed than Cheltenham and Ascot and with no actual official dress code. However, there is a ‘Style Code’ for Aintree’s Ladies Day inspired by Coco Chanel; “Dress shabbily and they remember the dress; dress impeccably and they remember the woman”. Hats are optional; sports clothes and fancy dresses are not permitted, but a pair of binoculars will be extremely handy. Finally, comfortable, but stylish, shoes are recommended to ensure you have an enjoyable day out.